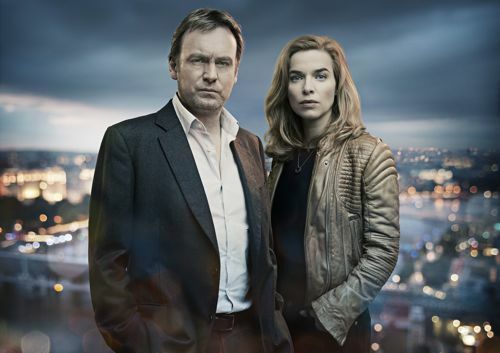 Philip Glenister makes a welcome return to BBC1 in new four-part drama Hidden. Which begins at 9pm on Thursday October 6. He plays flawed criminal lawyer Harry Venn, who works in a down-at-heel office in London’s Kentish Town. When not bare-chested in bed, drinking white wine and smoking a cigarette. Having conducted a between the sheets appointment with ex-wife Lauren, played by Lisa Kay. Revealing rather more than when she played Heartbeat district nurse Carol Cassidy. 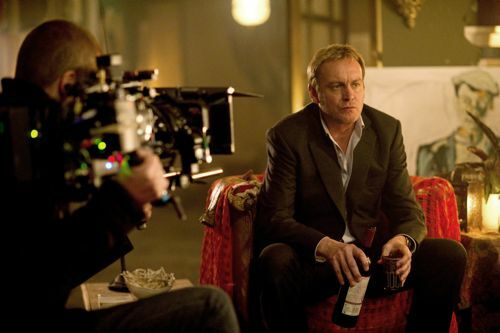 Having seen the opening episode twice so far, I think Mr Glenister’s many fans may well be wild about Harry. We see him brooding in his car and on the Underground. Trying to work out if he’s being set up for something that happened in his past. This is a conspiracy thriller that doesn’t spoon-feed its audience, opening with the murder of a blonde woman in Paris. Flashbacks to a bungled robbery that led to the death of both a top scientist and Harry’s brother Mark. And the arrival in Harry’s rather dingy office of Gina Hawkes, played by Dutch actress Thekla Reuten, who claims to be a fellow solicitor. Gina has to wait as Harry’s previous appointment is running over time. As he breaks up – yet again, we learn – with a tearful young woman called Frances. “I don’t know what to say…sorry,” says a softly-spoken Harry, who has an eye for a beautiful woman. Gina is looking for a missing alibi witness for her client and needs Harry’s help. Hidden is set against the background of a coalition government in crisis and riots on the streets of London. Together with a “morally bankrupt” prime minister facing allegations of corruption. Where does Harry’s past and present fit into all of this? That’s the puzzle we have to piece together over four weeks. It feels both very topical and also steeped in events some 20 years before. I have to confess I missed one very important detail about Harry on first viewing the opening episode. You will have to watch and listen closely to realise who he used to be. His past appears as murky as the brown Mercedes getaway car we see in those flashbacks. And he’s not exactly a saint as the man behind the door of “H. Venn and Co. Solicitors”. But there’s a lot to like about the understated way Phil plays Harry. Along with a cast that also includes the supreme Anna Chancellor, plus David Suchet, Thomas Craig and Christopher Fairbank. Written by Ronan Bennett together with Walter Bernstein and directed by Niall MacCormick, Hidden features an excellent soundtrack by award-winning composer Rob Lane. 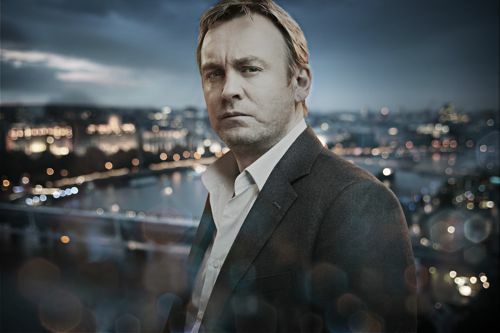 Phil Glenister back in a major BBC1 drama? That’s got to be music to everyone’s ears. Posted in News and tagged Anna Chancellor, Christopher Fairbank, David Suchet, Hidden, Lisa Kay, Niall MacCormick, philip glenister, Rob Lane, Ronan Bennett, Thekla Reuten, Thomas Craig. Bookmark the permalink. You are so right Ian – am so glad to see Phil back where he belongs: on prime time BBC1. Thanks for a fabulous review, very much looking forward to seeing the first ep and hearing more from you. This looks very good, what a cast! Not only Philip Glenister but Anna Chancellor and David Suchet as well … it must be good with that kind of a pedigree. 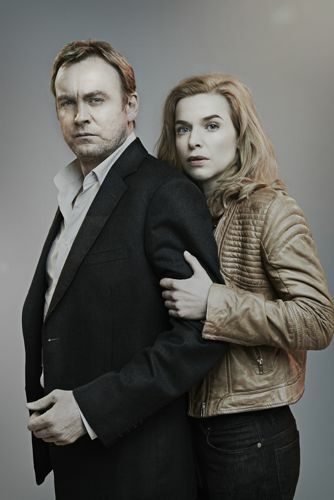 Thanks Ian – glad to have you “back on the beat” analysing a new Glenister series. This one sounds intriguing and we always appreciate your guidance as to what to listen for and what you most appreciated – or questioned. 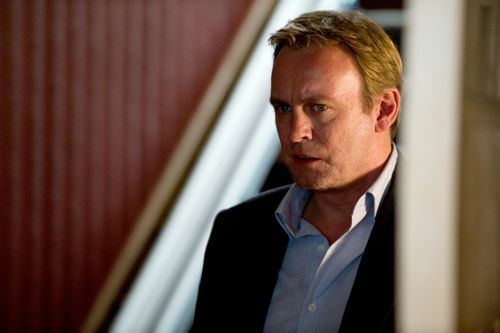 Love Philip Glenister – have to watch him whatever he is in. Cant wait for Hidden to start. He is wonderful to watch !!! Sounds like another fine series from the UK! Will be watching stateside! Hi Veronica – as mentioned in the blog, Rob Lane composed the soundtrack, including the theme tune. Perhaps I need to listen again, but is there a singer in there somewhere? I think you are referring to the BBC trailer music which is ‘Days are Forgotten’ by Kasabian. Hope this helps. Thanks Sue – that sounds plausible. Hi Veronica, Do you mean the song used to “advertise” Hidden by the BBC? I would love to know who sings that too… if anyone can help. Hi gazelle – moderated your comment at the same time as Sue’s (which you obviously wouldn’t have seen at the time of your posting). But it would appear you were both on the same track! Does anybody know where i can find the soundtrack written by Rob Lane? Or maybe the name of tracks at least?